Bedford Borough's Library Link Service brings the library service to people who might otherwise be unable to use them. If you are not able to leave your home and visit your local library, Library Link is for you! 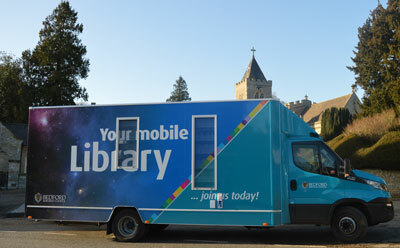 This service, using our library link vehicle and volunteers, delivers books to your door. The service is available throughout Bedford Borough, to young and old alike. You can use the service even if you are confined to your home for just a few weeks. Find out more about being a Library Link Volunteer here.